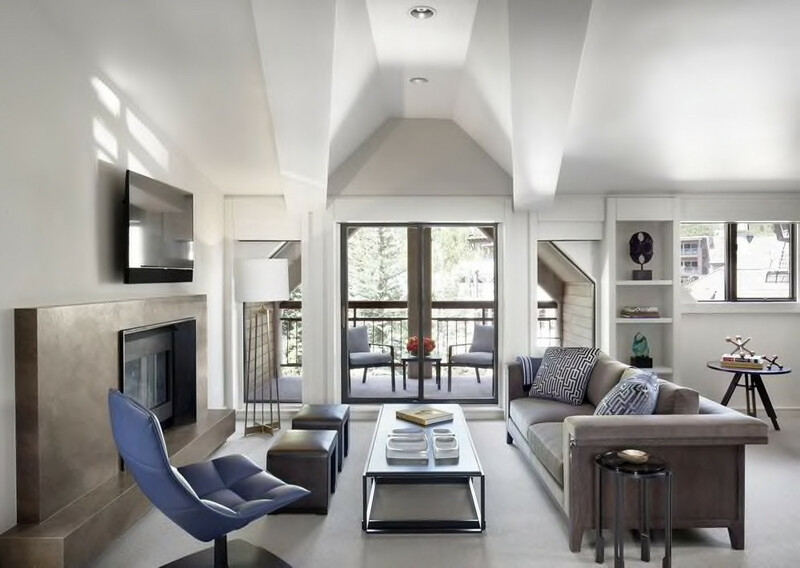 Famously five-starred, hold a cultured cosmopolitan collective or ski-in/ski-out snowy soiree at this awe-inspiring Aspen alpine. 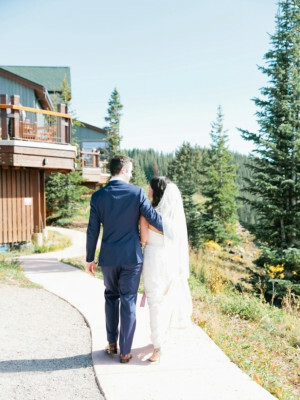 Chauffeur your guests in high style up the Silver Queen Gondola for majestic mountain views or take advantage of the master sommelier or on-staff fly-fishing aficionado for adventures of all seasons. 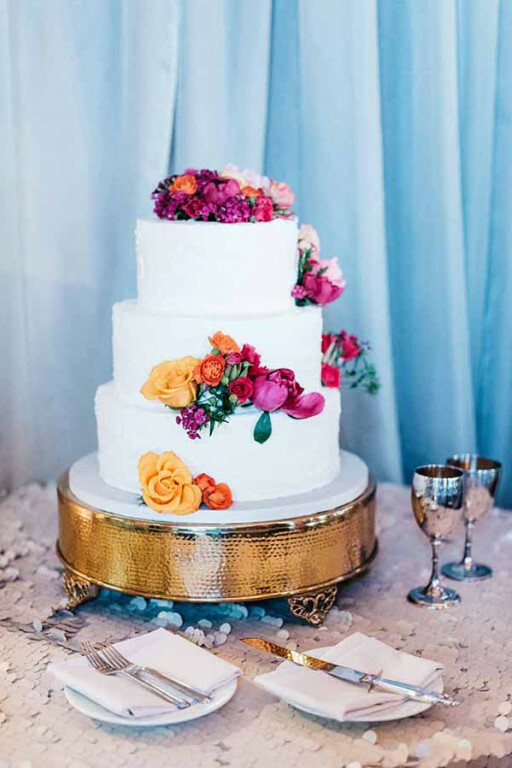 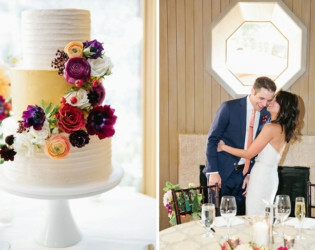 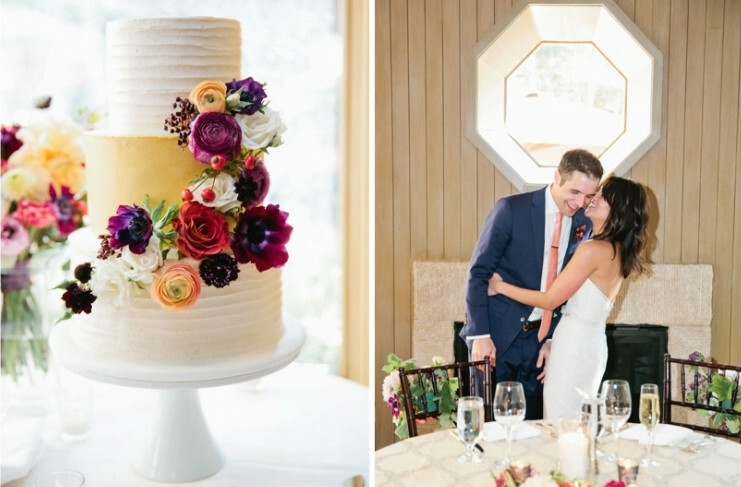 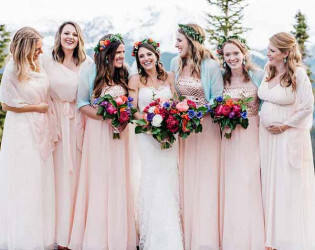 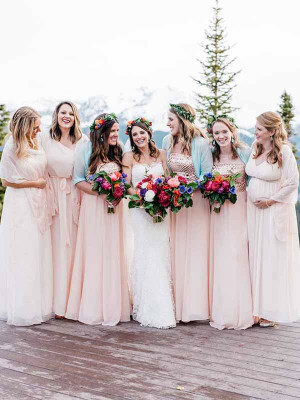 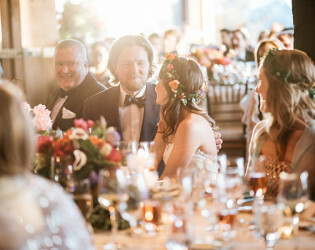 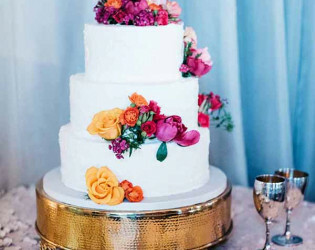 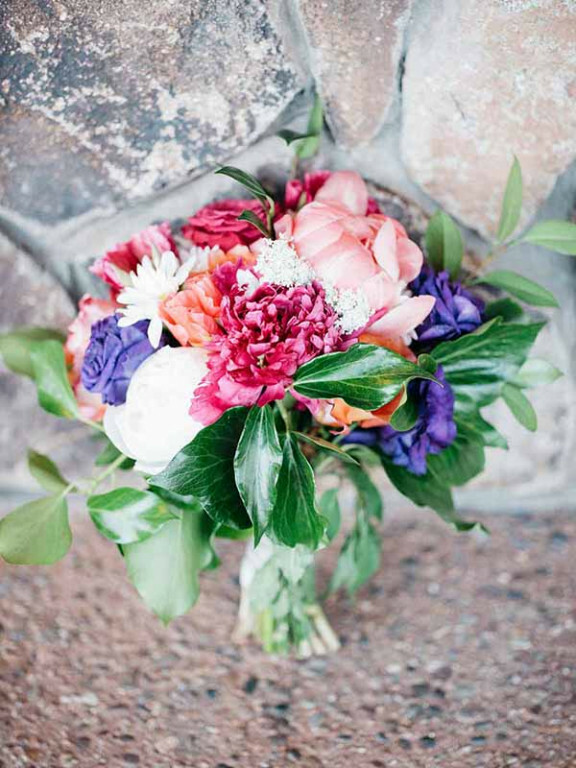 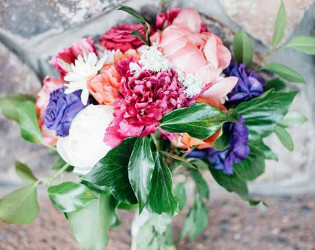 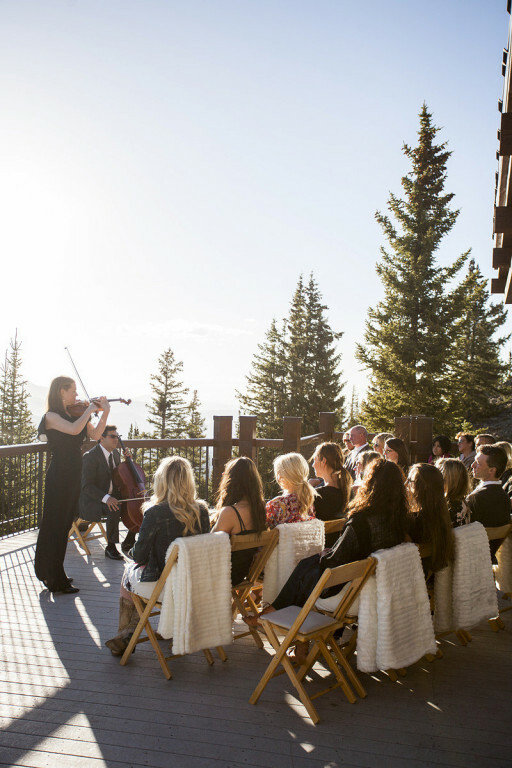 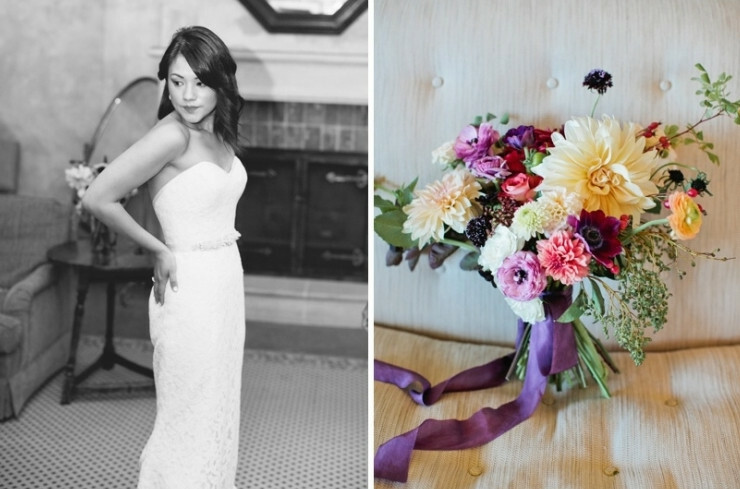 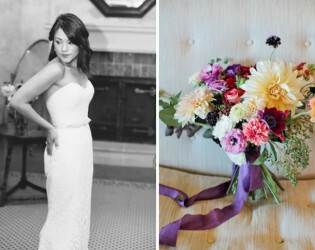 Due to the hotel's exclusive access to Aspen wedding venues on top of Aspen Mountain, luxurious accommodations, and first-class guest amenities, The Little Nell is able to orchestrate a wedding at a standard by which all others are judged. 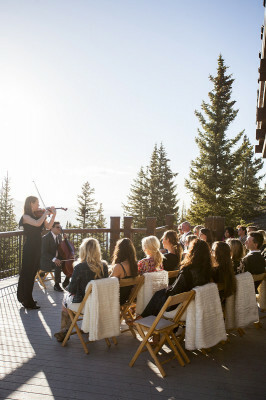 The Wedding Deck is quite simply the most stunning site for a wedding ceremony in all of Colorado. 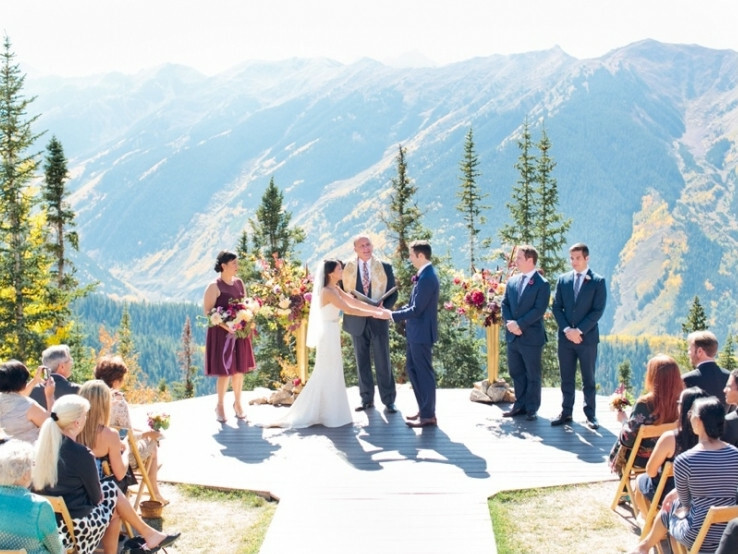 Invite your guests to take a gondola ride up Aspen Mountain, from downtown Aspen, to an elevation of 11,212 feet, where they will reach your ceremony at The Wedding Deck or adjacent Aspen Mountain Club. 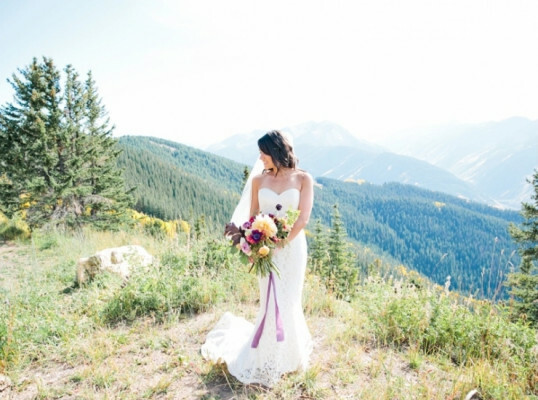 Breathtaking views of the famed Maroon Bells and the Rocky Mountains will frame the special memories created on your special day. 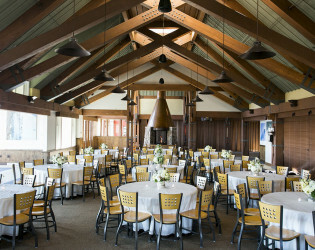 Our facilities can accommodate 20 - 280 guests. 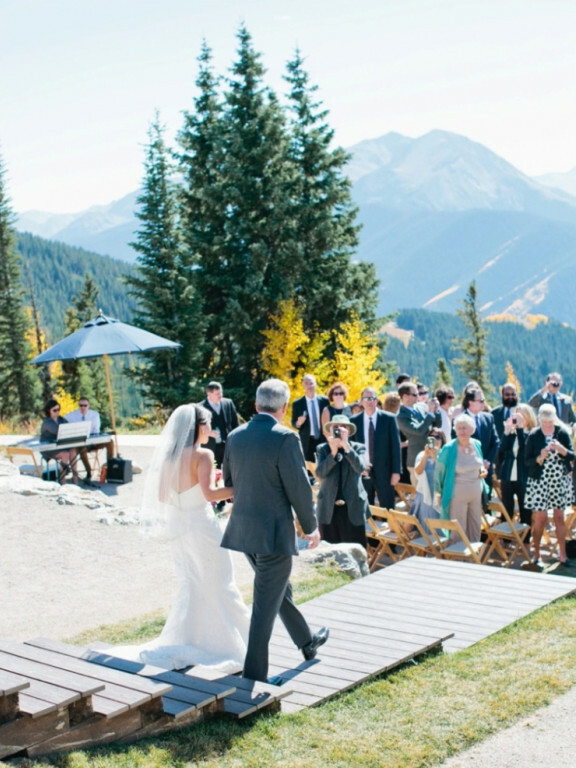 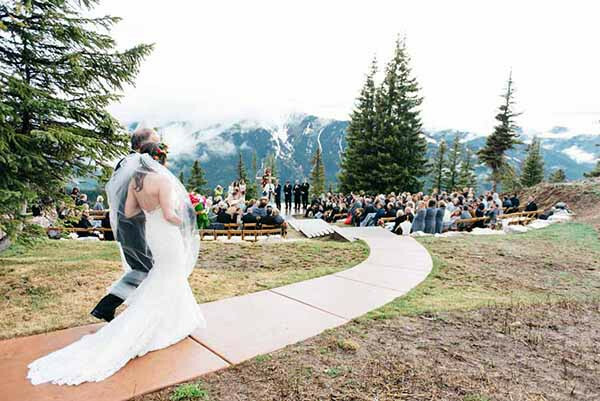 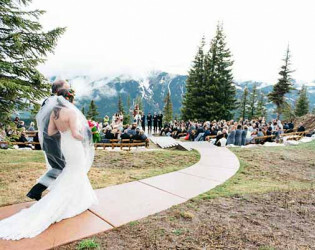 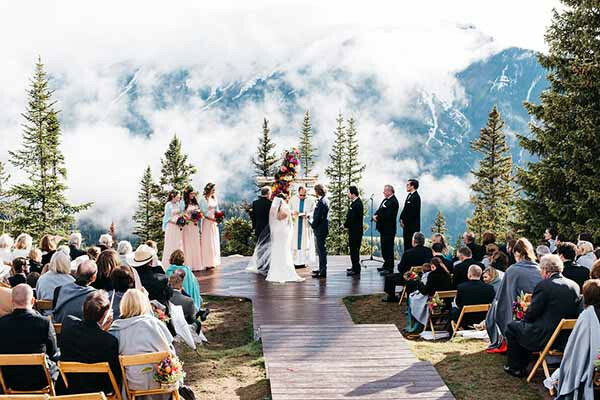 Should you choose an Aspen mountain top ceremony and or reception, a gondola fee will apply. 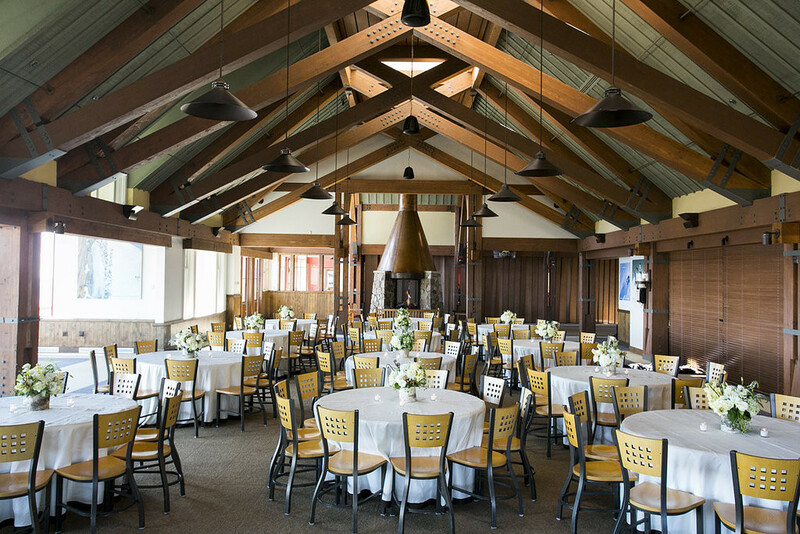 Costs begin at $21 per guest for daytime events and $1,000 per hour for evening events. The top of Aspen Mountain closes annually from mid April - Memorial Day Weekend and in the Fall from the second week of October - Thanksgiving Day. 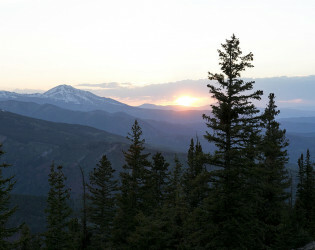 The Hotel does remain open in the fall, but has a short closure from mid April - mid May each spring. 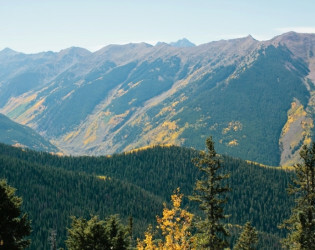 Aspen has two low-seasons. 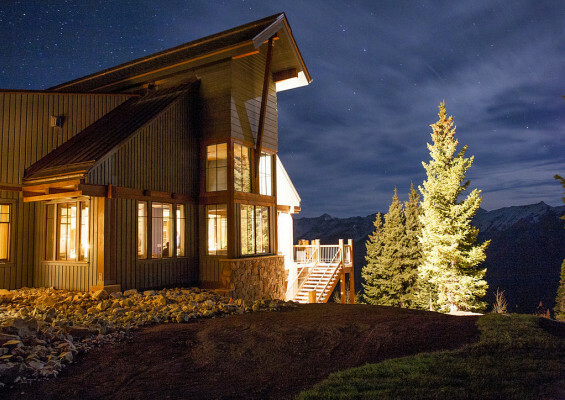 Pricing can fluctuate depending on the time of year. Value periods, are the Spring and fall/early winter. 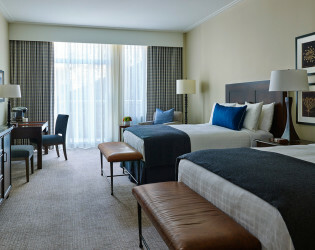 Ask about great rates and pricing during these times of the year. 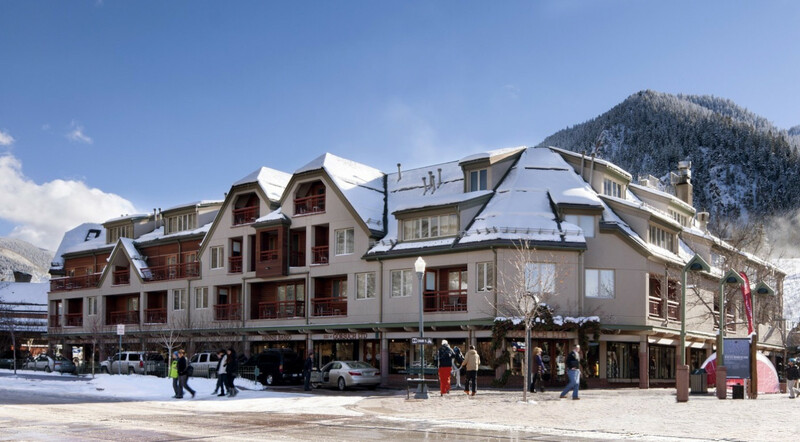 Guests of The Little Nell enjoy luxury services and unparalleled access to America's most famous mountain town. 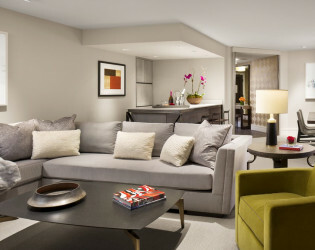 A cosmopolitan yet intimate ambiance provides a welcome respite from the hectic pace of modern living. 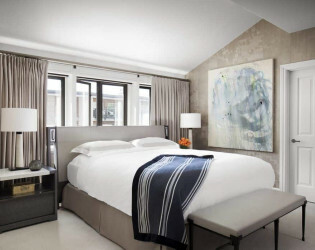 An intuitive and thoughtful staff deliver the finest in haute cuisine, exclusive adventures and amenities designed to rejuvenate the mind, body and spirit. 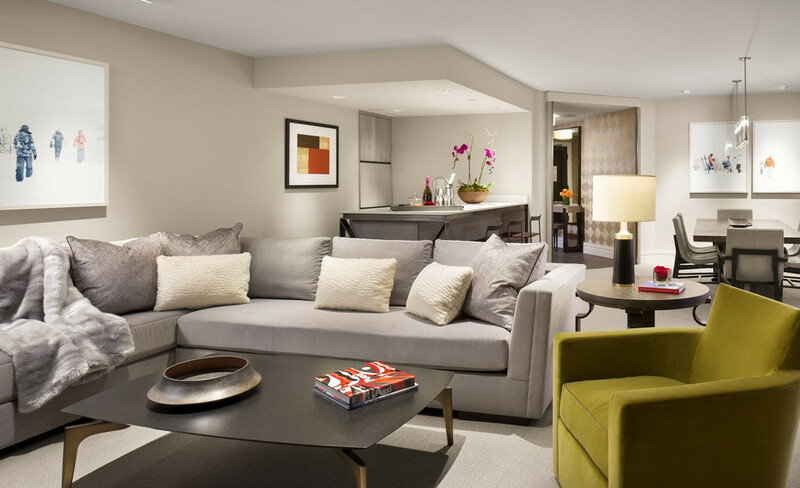 Just having completed a $20 million dollar renovation with room and furniture designs by famed designer Holly Hunt. The hotel has 92 guest rooms and 12 suits. 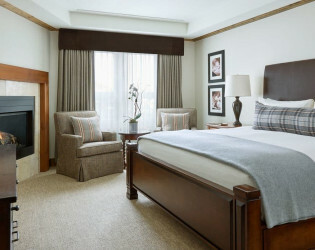 Each over-sized room is complete with fireplace and complementary mini bar. 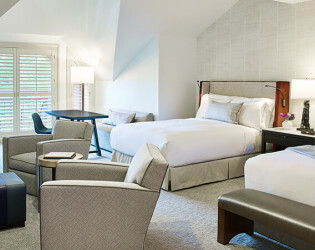 In addition, the hotel has also completed a $2.5 million renovation on it's restaurant, Element 47. 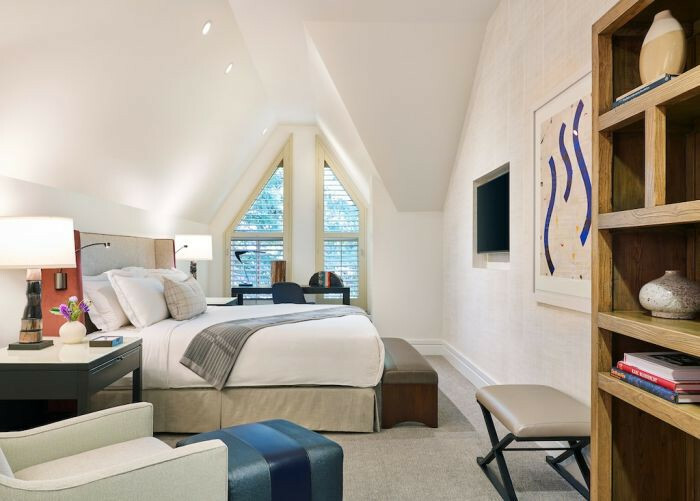 Bentel and Bentel, who also designed such notable restaurants as Eleven Madison Park and Le Bernardin in New York did all of the design for the new restaurant. Awards & Notables The Little Nell opened its doors in 1989 and immediately established itself as Aspen’s premiere mountain resort. 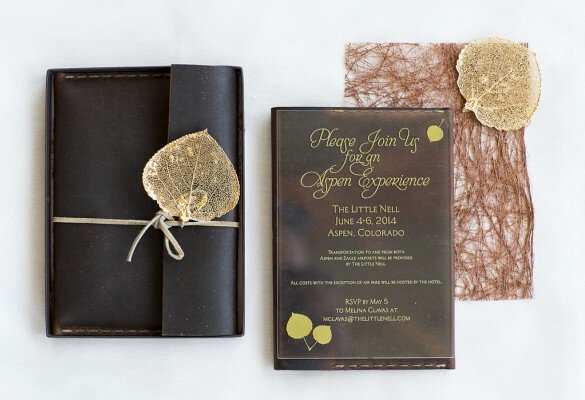 The Little Nell’s solid reputation of distinction and outstanding service is now world-renowned. 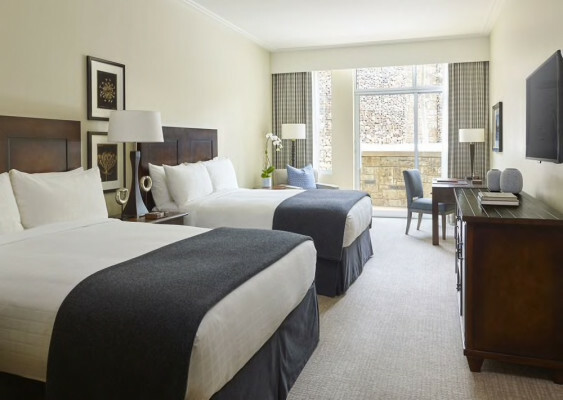 Building on overwhelming praise received by industry associations for more than 20 years, the hotel continues to provide a tradition of excellence. “We are honored to be acknowledged by such fine organizations,” said John Speers, General Manager of The Little Nell. 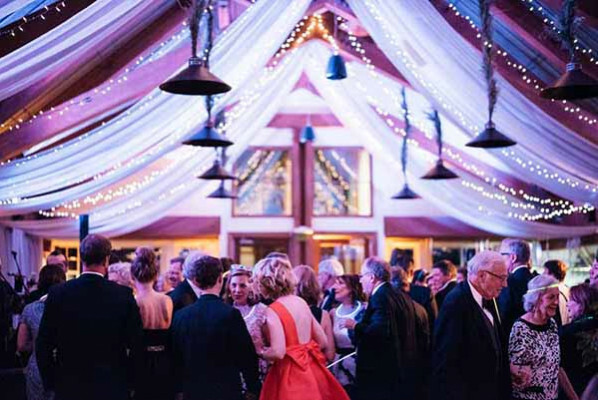 “It is important to note that it is our staff that truly sets us apart. 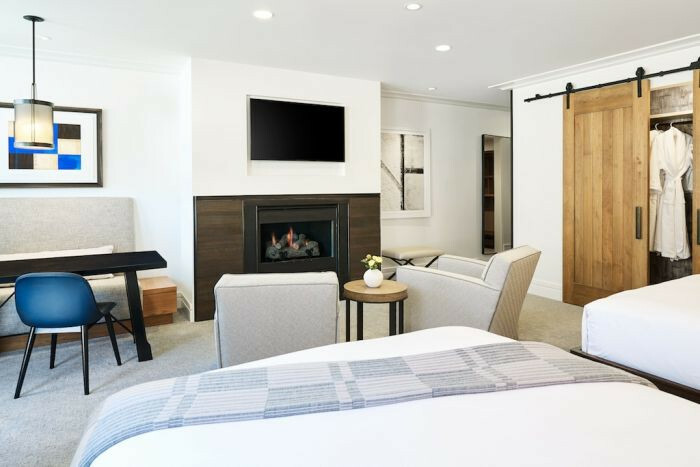 All of us are genuinely delighted to be here and it shows in our every action and effort.” A boutique hotel serving just 92 rooms, The Little Nell is designed to attend to guests’ needs at every turn. The Little Nell has a year-round concierge staff of six in addition to its staff of 200 employees. 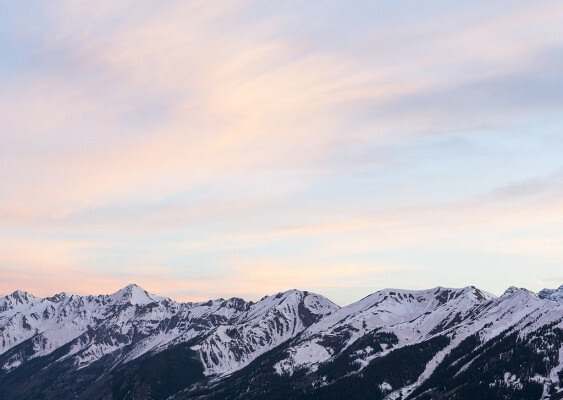 In the winter season an additional ski concierge team of six is brought on staff to ensure every boot is warm and every ski is tuned. This attention to detail by The Little Nell staff members contributes in part to the extraordinary average of sixty percent of The Little Nell’s guests being repeat visitors, an uncommon statistic for the hospitality industry. 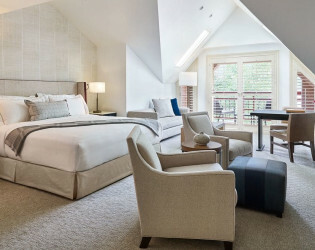 Forbes Five-Star Award for 2014 The prestigious Five-Star designates The Little Nell as “one of the best hotels in the country.” This is the nineteenth consecutive year The Little Nell has received this award, one of 57 other lodging establishments in North America to receive this distinction in 2013. 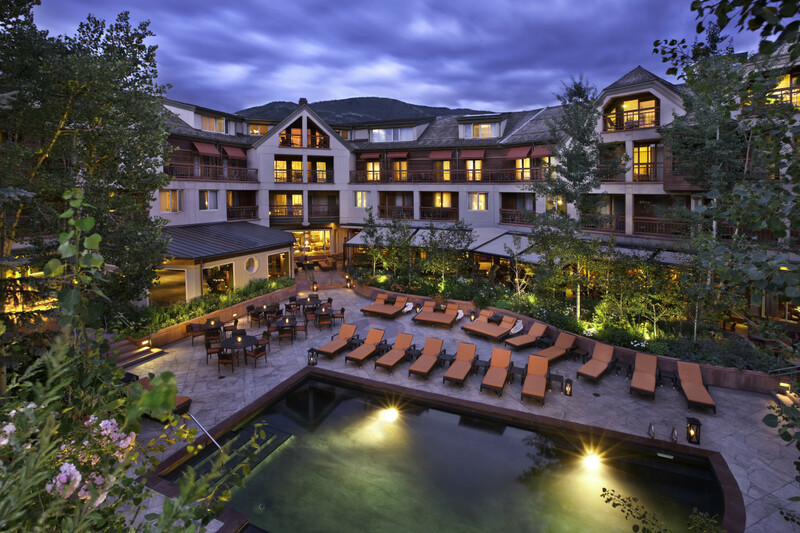 AAA Five Diamond Award for 2014 The Little Nell has been awarded AAA Five Diamond Award for the 23rd consecutive year. 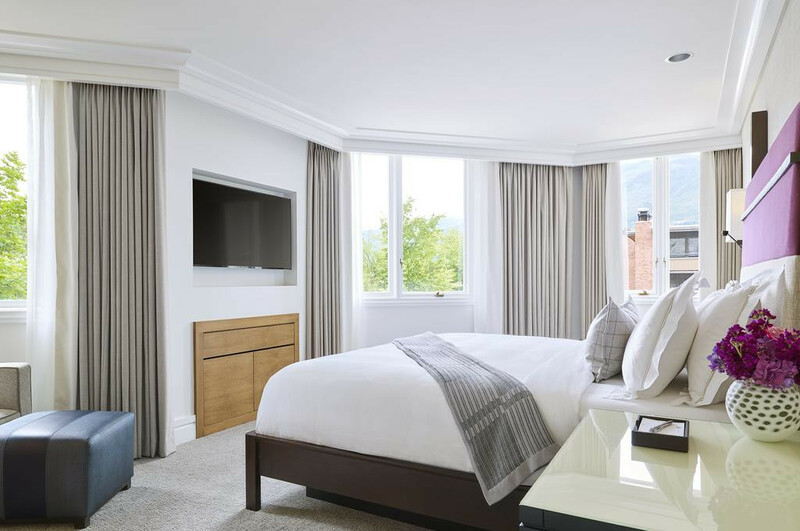 This award is the highest rating reserved for properties renowned for uncompromising standards of excellence in all aspects of operations. 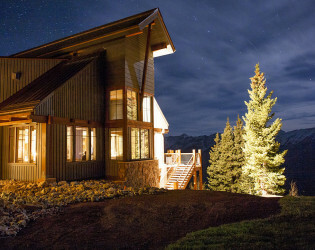 The Little Nell is listed among the less than one-half percent of the properties approved by AAA to achieve this ranking. 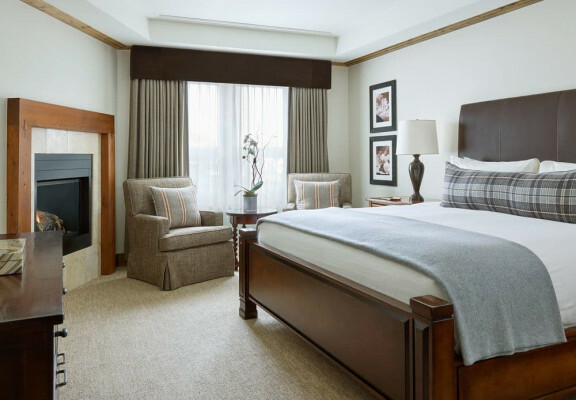 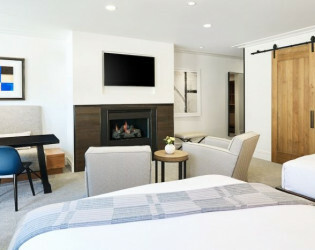 U.S. News and World Report The Little Nell earned recognition as one of the 2012 Best Hotels in the USA, ranking #17 in a list of top properties across the country and #1 in Colorado. 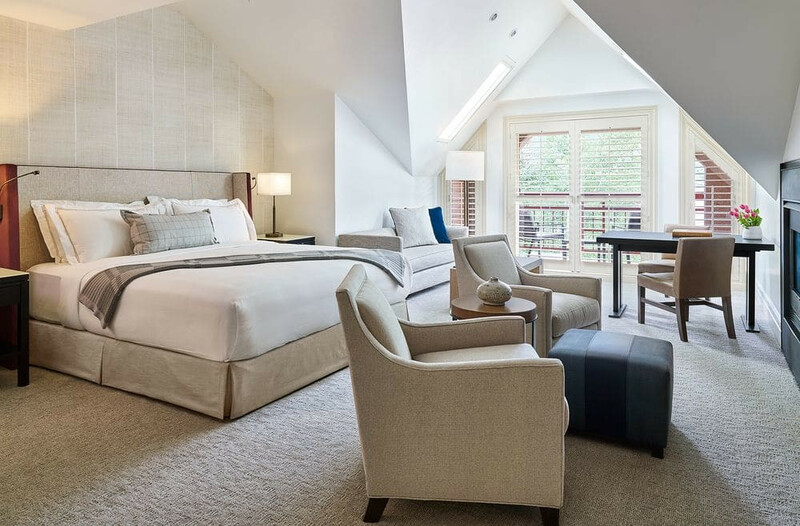 Travel + Leisure Magazine “Best Hotels” Recognized by Travel + Leisure in 2012 as one of “The World’s Best Hotels.” The Little Nell has been named a “World’s Best Hotel” since 2007. 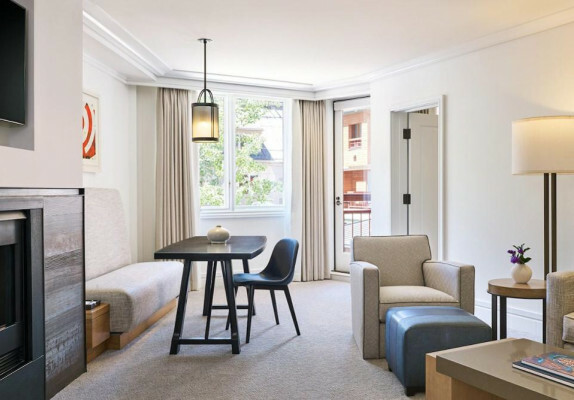 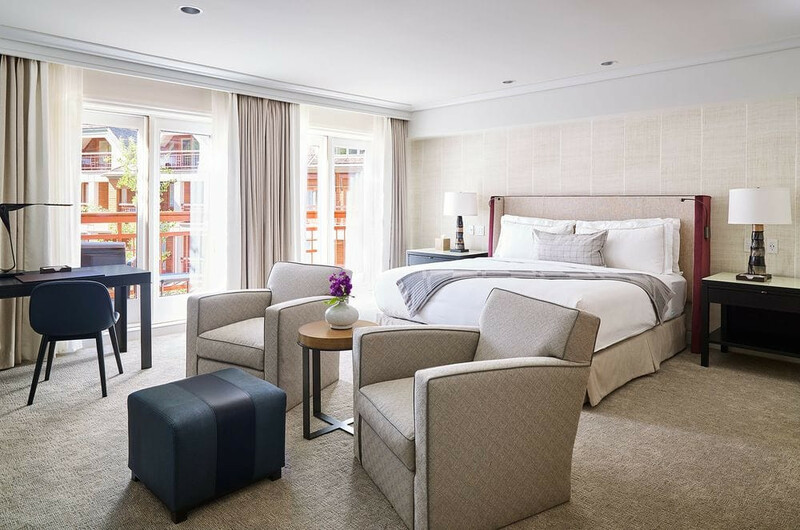 Condé Nast Traveler Magazine 2011 Gold List The Little Nell was named as one of the world’s best hotels and top property in Aspen and has made the list every year since 2005. 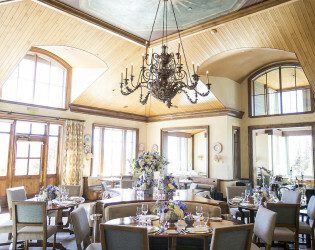 Wine Spectator For the fifteenth consecutive year, The Little Nell was recognized as a 2011 “Grand Award Winner” for its stellar wine program. 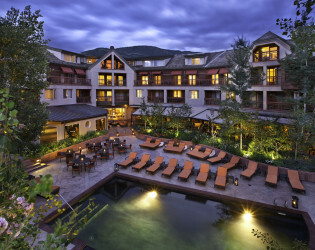 The prestigious award is given to only 74 establishments. 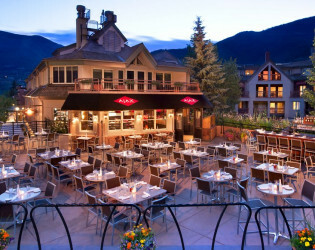 Wine Enthusiast Magazine Montagna at The Little Nell was named one of Wine Enthusiast’s “100 Best Restaurants” for 2011. 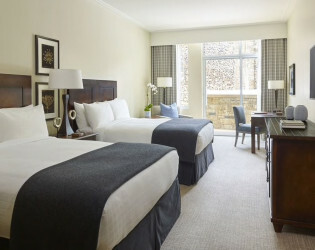 Colorado Hotel and Lodging Association The Little Nell was awarded the 2011 Hospitality Green Award for its efforts in sustainability, taking 1st place as the most environmentally-responsible hotel in the state. 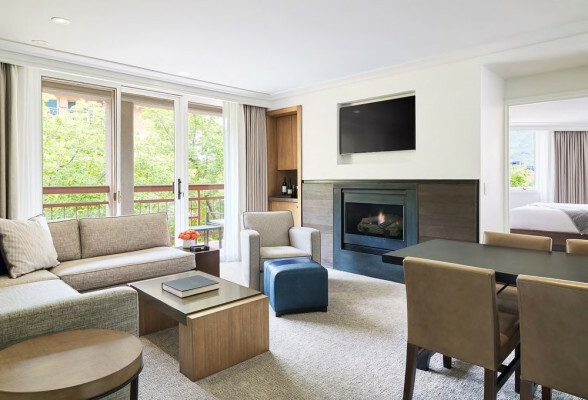 Capacity: Seated 280, Reception 500, Reception with Patio 600 After you ascend legendary Aspen Mountain via the Silver Queen Gondola, The Sundeck’s gallery welcomes you with a huge rock fireplace beneath 30-foot ceilings. 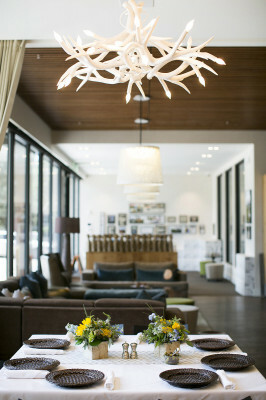 Copper lighting fixtures, rich wood and an open design invoke an informal bistro. 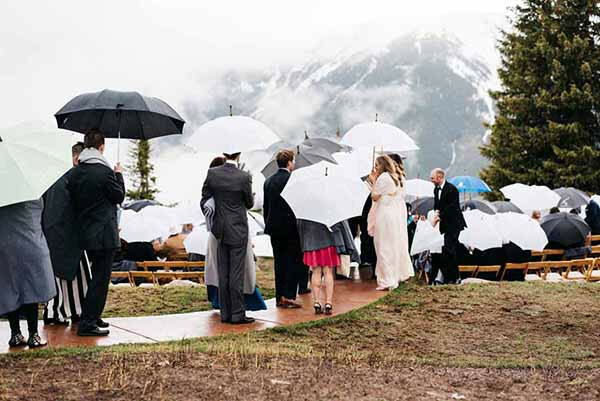 Aspen's most magnificent venue for special events is located at 11,200 feet, on top of Aspen Mountain. 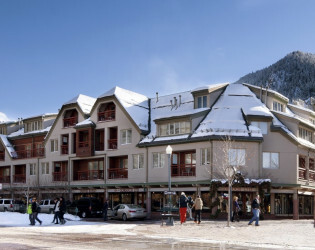 Aspen Mountain Club is accessed by a spectacular three-mile gondola ride, from The Little Nell to the summit of Aspen Mountain. Cast open the hand-hewn iron door and step into a luxurious space - as majestic as the surrounding Rocky Mountain wilderness. 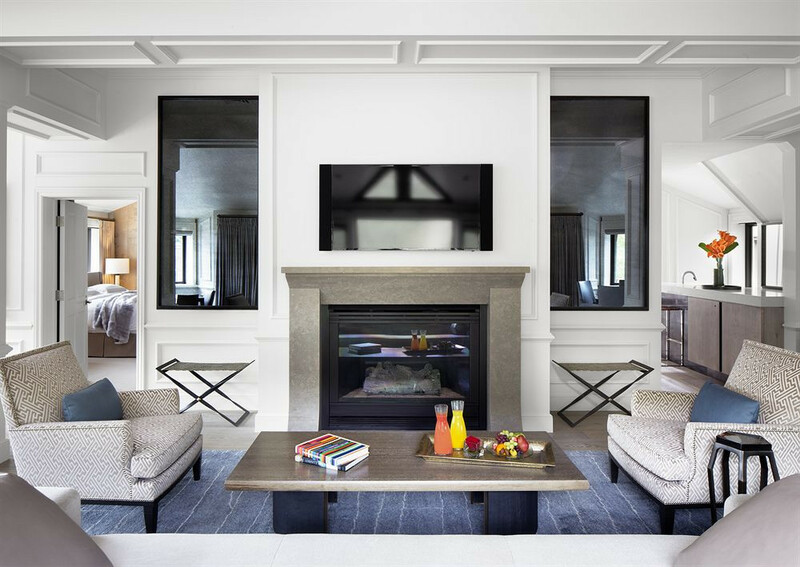 Renowned New York designer David Anthony Easton has appointed this exclusive, private club with a trove of elegant Alpine details. 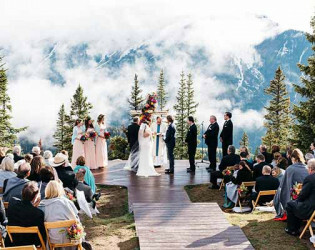 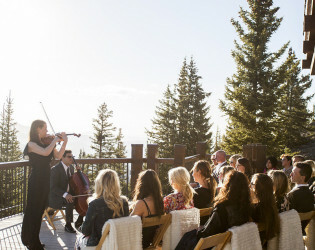 The Wedding Deck on the summit of Aspen Mountain is quite simply the most stunning site for a wedding ceremony in all of Colorado. 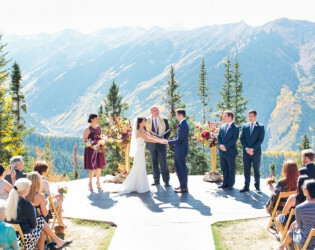 Invite your guests to take a gondola ride up Aspen Mountain, from downtown Aspen, to an elevation of 11,212 feet, where they will reach your ceremony at The Wedding Deck or adjacent Aspen Mountain Club. 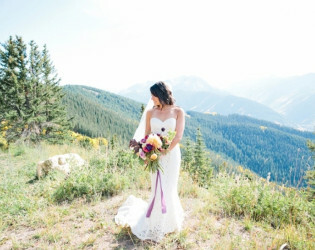 Breathtaking views of the famed Maroon Bells and the Rocky Mountains will frame the special memories created on your special day. 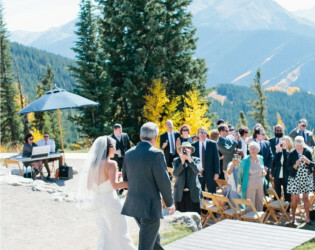 The terraced lawn seats up to 280 guests. 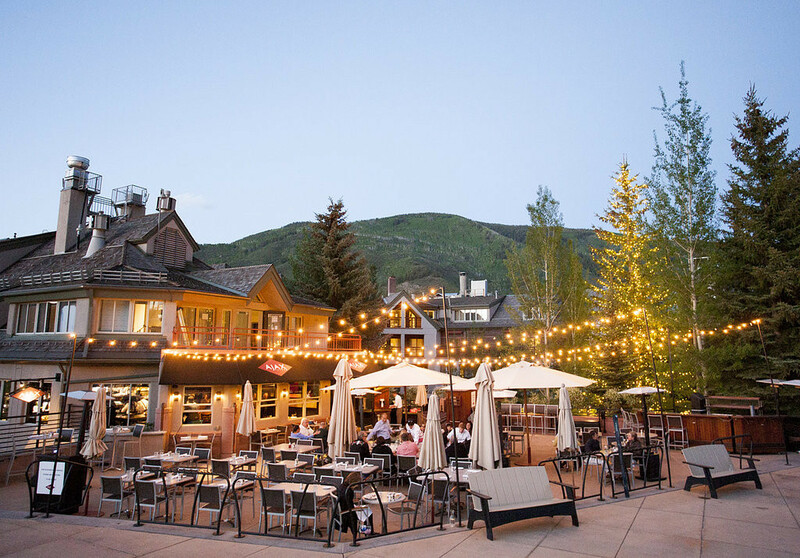 Located at the base of Aspen Mountain, Ajax Tavern's sundrenched, mountainside patio is an idyllic hotspot for casual fine dining in an unbeatable atmosphere. 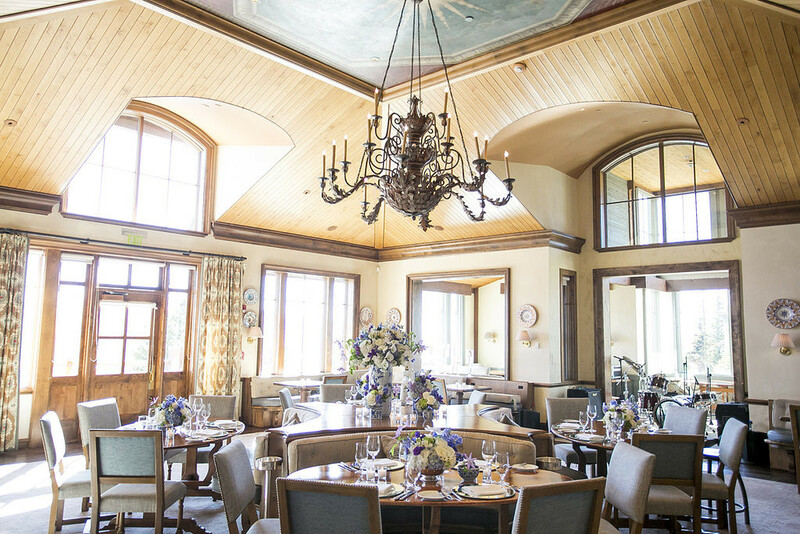 The Tavern comes to life at lunch and sizzles into the night year-round. 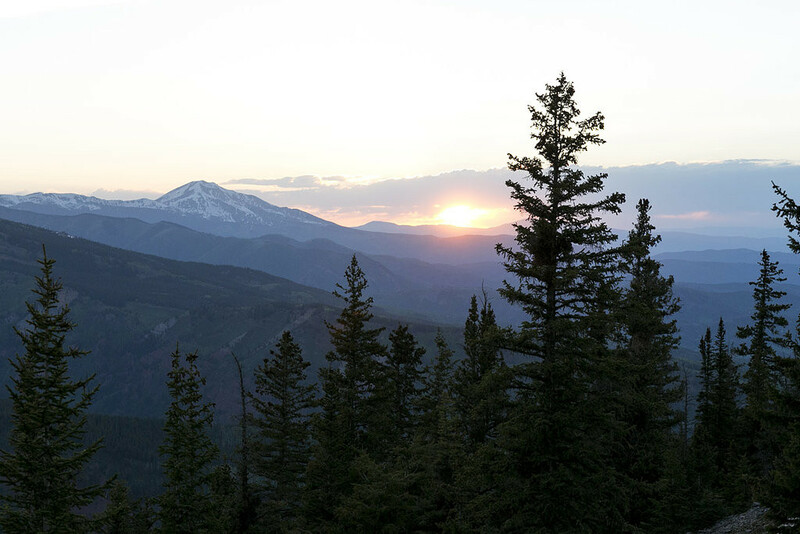 Inspired by Colorado's sustainably raised meats and seasonal produce, Chef Justin Schreiber's signature dishes include crusted tuna bay salmon, an Ajax cuban sandwich and the beloved Ajax Double Cheeseburger with Truffle Fries. 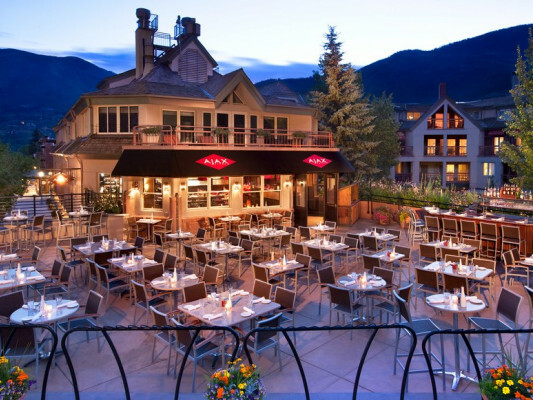 Après ski features Pristine Raw Bar selections, including fresh oysters, shrimp and crab, as well as an abundance of fine wines, signature martinis and microbrews. Ajax Tavern is a magical space for private celebrations and social gatherings in Aspen. 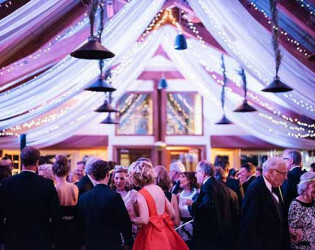 Events are serviced by The Little Nell’s Event team, considered the finest in the business. Lunch, 11:30 a.m. to 3 p.m. Après, 3 p.m. to 6 p.m. Dinner, 6 p.m. to 9 p.m.
Indulge in the recommendations of a famed culinary and wine team, or attend a wine dinner featuring bottles from our award-winning wine cellar, and let element 47 stimulate all your sensibilities in a sleek and decadent space. 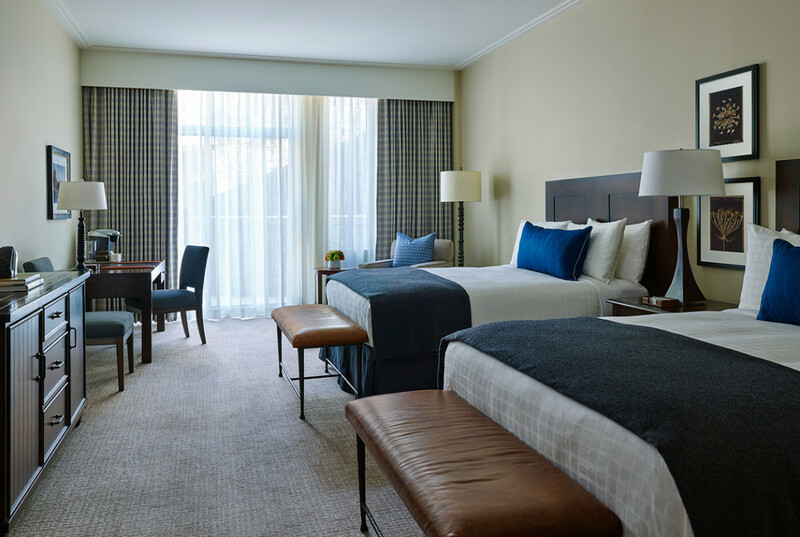 Rest assured that you will be tasting the flavor of locally sourced fruits and vegetables, and hormone-free beef. We serve hormone-free Wagyu beef locally grown at Emma Farms, all natural, nitrate-free pork from Niman Ranch and cage-free, all natural eggs. 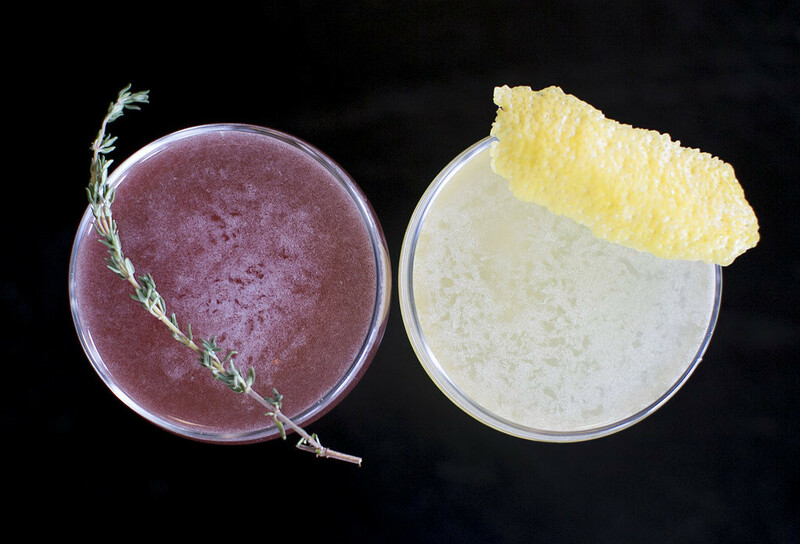 We also proudly serve local beers and spirits to round out our menu. Ski in for lunch, or find a seat at the bar for a more casual rendezvous. 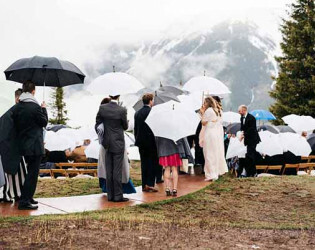 Colorado's native spirits and beers punctuate entertaining conversation among Aspen's most vibrant mix of locals and guests. 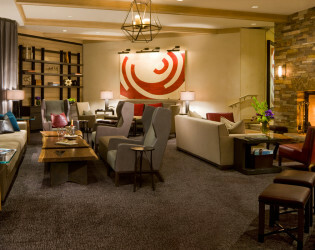 Experience food and drink at element 47 -- Aspen's most indulgent culinary experience. 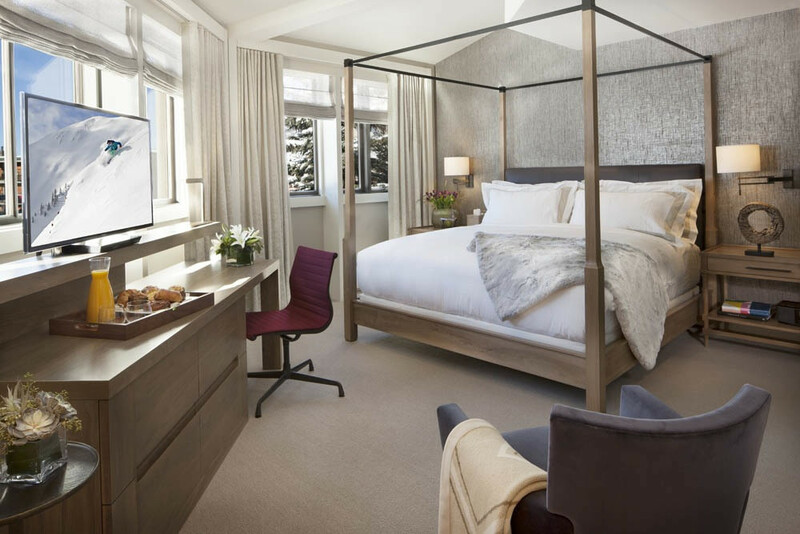 Elemental Aspen Named for silver on the periodic table, element 47 toasts our town's flavorful mining history and the essence of Aspen: seasonality, decadence and memorable social gatherings. 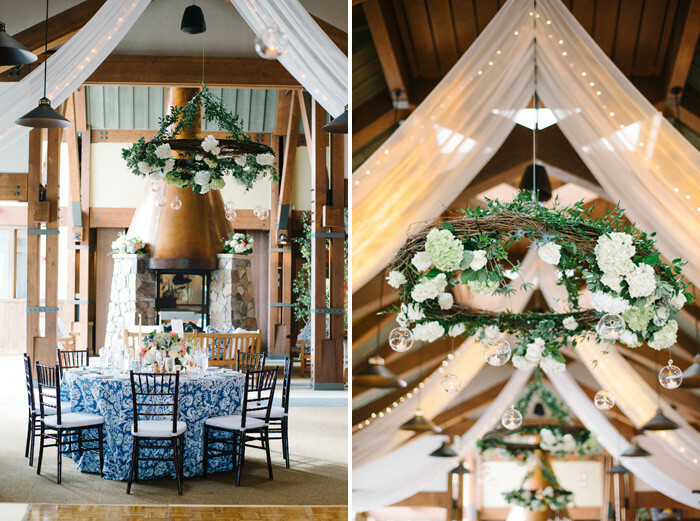 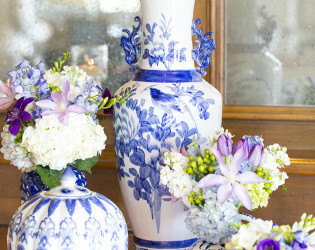 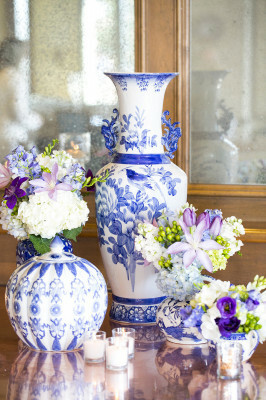 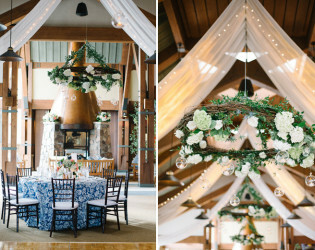 Richly fetted banquets and sophisticated tones convey a sense of alpine elegance. Servers glide past the restaurant's glass wine wall -- as a team of Master Sommeliers corks and decants bottles sought after by collectors and connoisseurs. One of a Kind ART Element 47 will pique your visual sensibilities as well as your tastebuds. 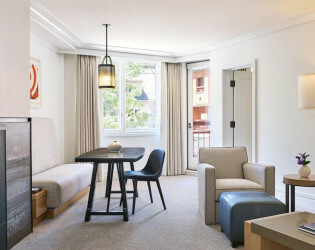 The restaurant features original art works by Michelle Grabner, Angel Otero, Scott Reeder, Philip Vanderhyden, Cameron Martin, and José Lerma, in addition to a work by Paula Crown, who owns The Little Nell with her family. Each piece in the space is quite different visually and texturally -- Philip Vanderhyden uses graphite dust glazed onto burlap and linen, while Cameron Martin's "Trees" features alpine imagery in acrylic on canvas. 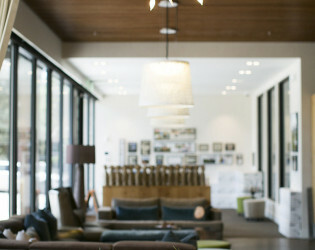 Ms. Crown's "Cockpit Side (2012)" is located in element 47's private dining room known as The Gallery. 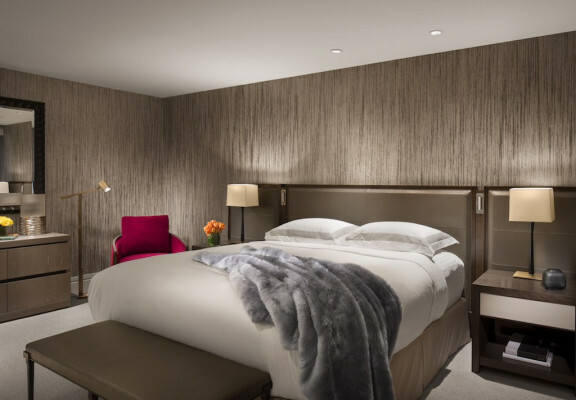 There is a common phenomenon among guests at The Little Nell; oftentimes they find themselves too comfortable to leave their rooms. 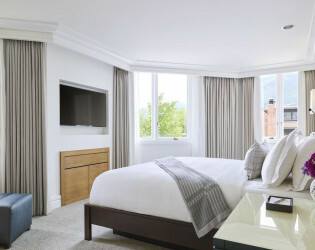 For these occasions, we are pleased to offer an extensive and sumptuous in-room dining menu. 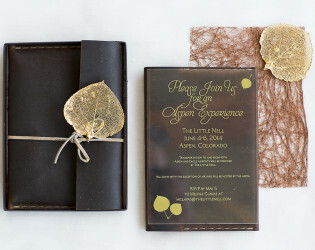 We are also prepared to cook to the limits of your imagination. 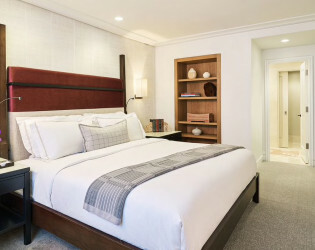 Award-winning wines are also available with room service. Our Amenity Menu lists an assortment of delicacies that are perfect for birthdays, anniversaries, hospitality, in-room picnics, or romantic interludes. 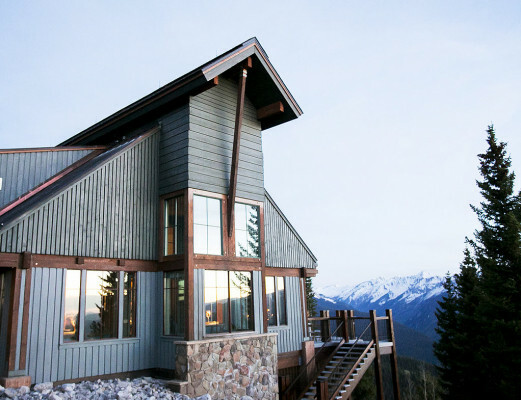 Off Site Adventures and Meals Adventures with The Little Nell allow guests to experience a fully customized adventure program, guided by our 5-star, 5-diamond team of adventure specialists. 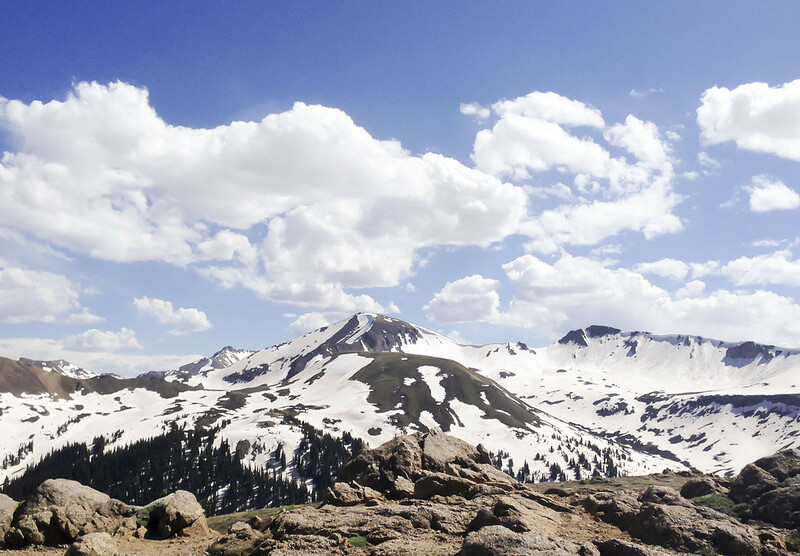 Our summer activities in Aspen are entirely customizable to your ability level, outdoor experience and comfort in high altitudes, and will develop your passion for adventure and the outdoors. 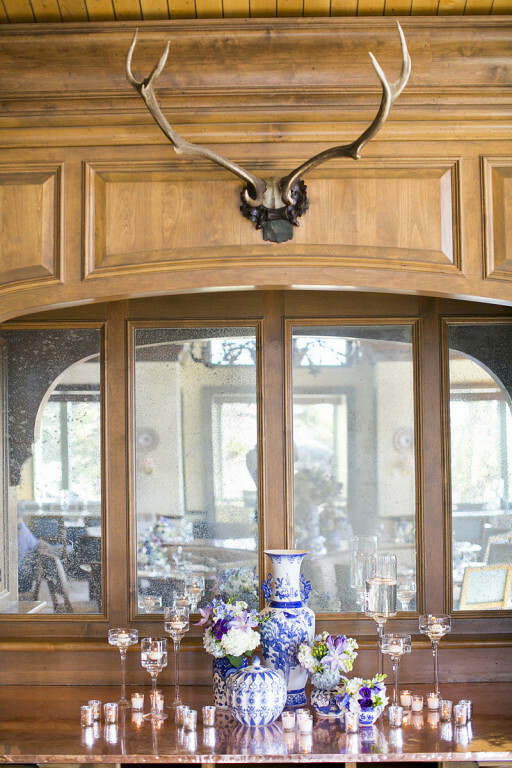 Each adventure offers an option for customized food and wine pairings, ranging from snacks to gourmet picnic lunches and expertly prepared fish. 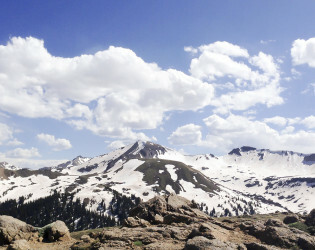 View our Summer adventure e-brochure below for a detailed menu of adventures. 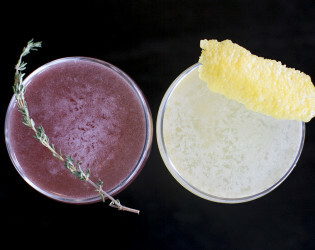 The Little Nell offers several bars, each with its own matchless appeal, individual gourmet themes and a thorough collection of wine, beer and spirits. The Bar at Element 47 epitomizes everything beloved about a classic luxury hotel bar. The décor is subdued and elegant, with windows that look out onto the courtyard of The Little Nell and the dramatic slopes of Aspen Mountain. 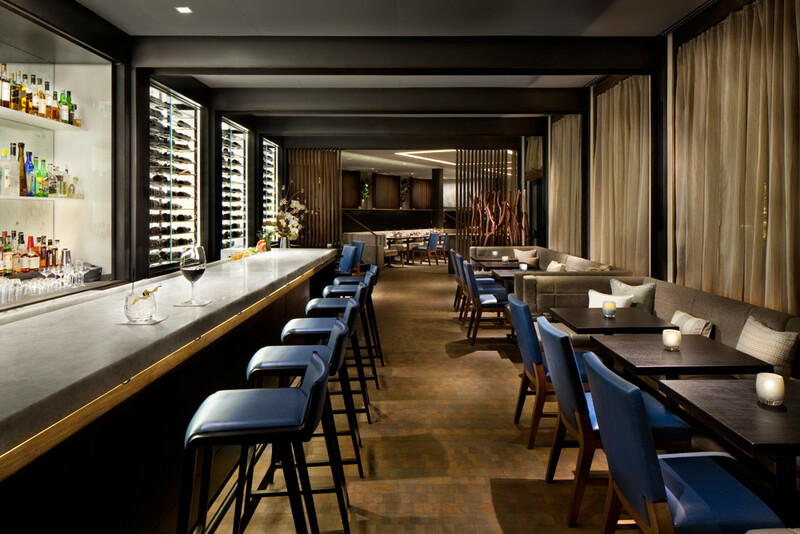 Patrons may select from a wine list crafted by The Little Nell’s own Master Sommelier. 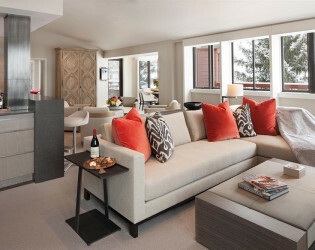 Enjoy a sophisticated haven that is ideal for a small gathering of friends or a romantic rendezvous. Chair 9 is a casual gathering place with a lively atmosphere that’s been recognized as one of the best après ski lounges in the country. Open from 3pm – until the party winds down, the Terrace Bar overlooks the courtyard and Aspen Mountain. 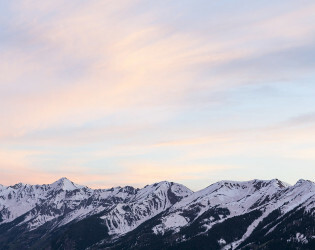 Chair 9 is open during our winter season. 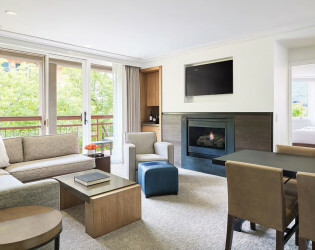 The Living Room is a bright yet cozy space that wraps around our two-sided fireplace with intimate arrangements of comfortable furniture. 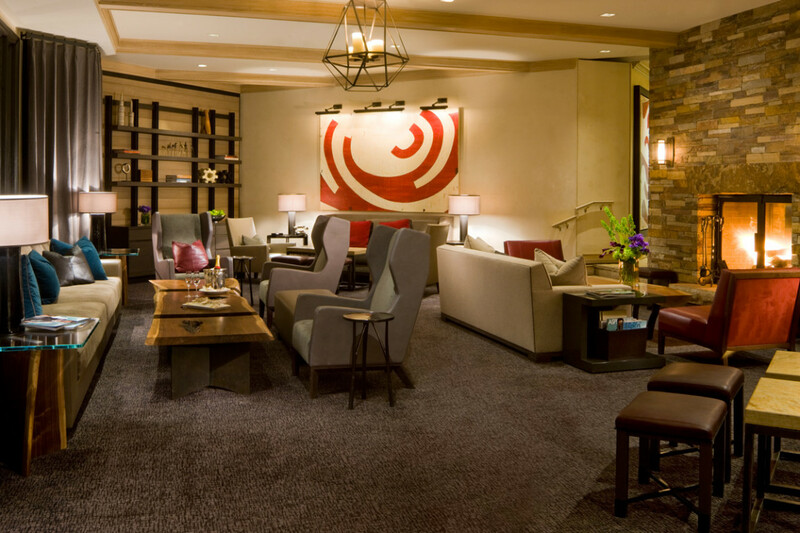 An ideal spot to enjoy a glass of wine and sampling off of the Element 47 Bar menu. 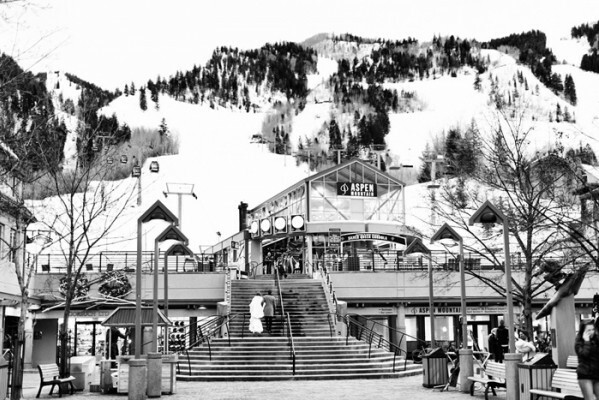 The Oasis is Aspen's mobile champagne "POP-up" bar, which changes locations on Aspen Mountain each weekend. 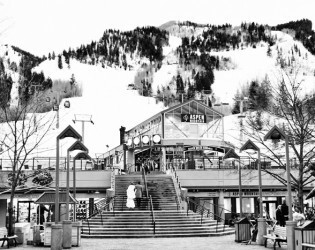 Serving champagne and caviar, this bar is available during the spring ski season on Friday, Saturday and Sunday afternoons. 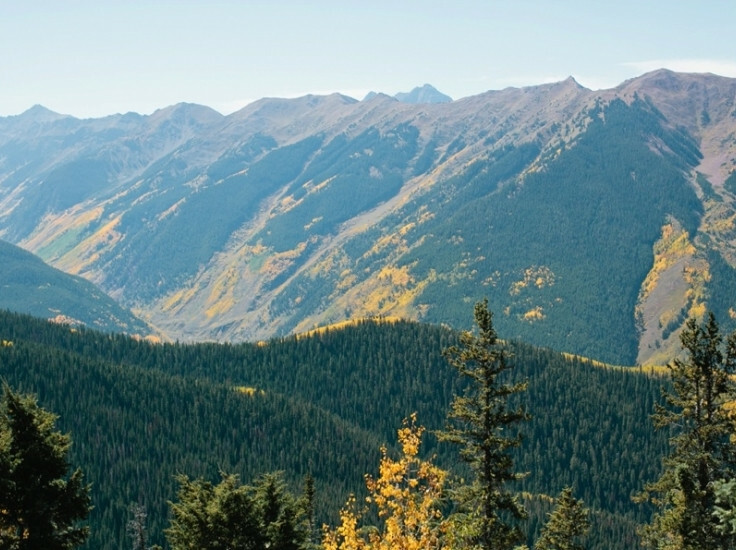 The most photographed peaks in North America are located in Aspen. Aspen Mountain Club abuts the Wedding Deck, with views of the Elk Mountain Range. 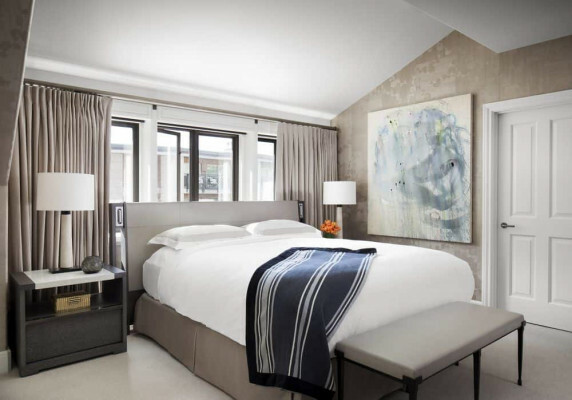 Renowned New York designer David Anthony Easton appointed this 7,000 square foot private club, a unique space down to its antique Austrian tables and hand-woven rugs. 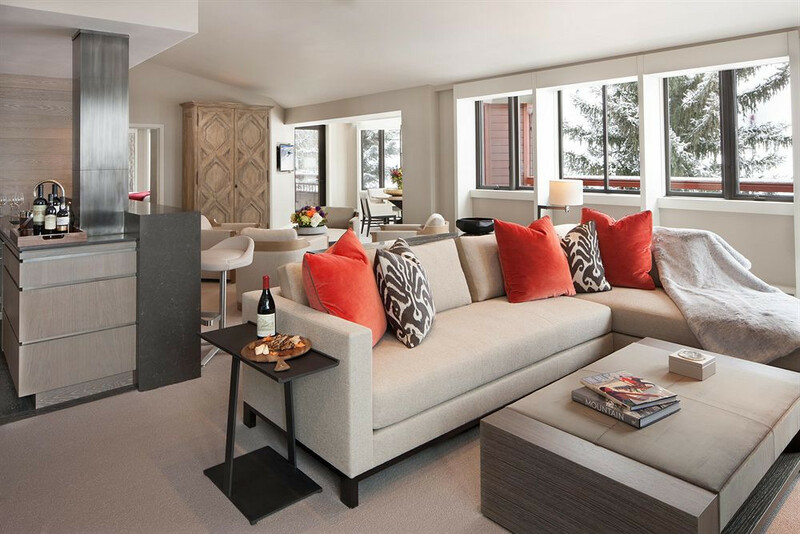 Tucked inside The Sundeck, you’ll find a gem. 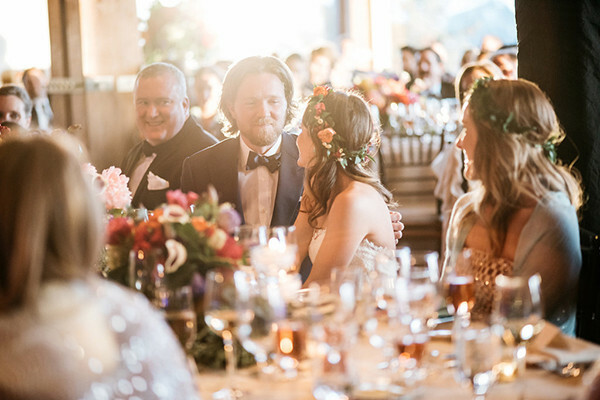 Named for one of Aspen's founding families, Benedict's is an intimate venue perfect for a smaller business lunch, wedding ceremony, or reception. 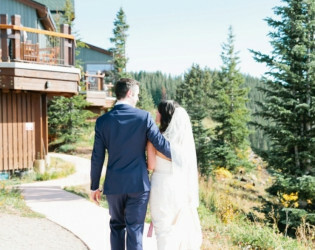 The city of Aspen at our front door, Aspen Mountain at our back door. 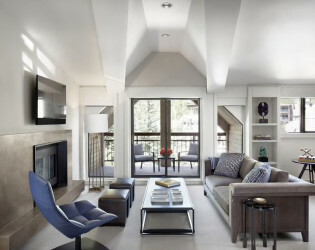 And in between, a gathering place for the free-spirited. 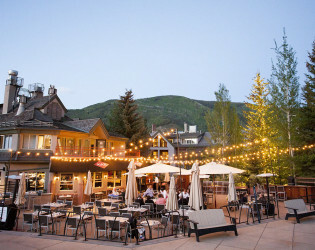 Aspen is a gathering place for the brave and the bright.Nowhere else but in Aspen does haute couture & haute cuisine mix so casually with bearded bro-bras and Colorado microbrews.